Networking with like-minded people who share our love for God enables us to do together what could not be accomplished alone for the kingdom of God. The result is catalytic giving—maximized impact for reaching souls in every nation. James P. Gills will introduce you to extraordinarily successful entrepreneurs, businesspeople, Bible teachers, and other gifted servants of God who have one thing in common: all have discovered the supreme joy of uniting their God-given abilities, spiritual gifts, and material resources as a catalyst for spreading God's love with maximum effect. 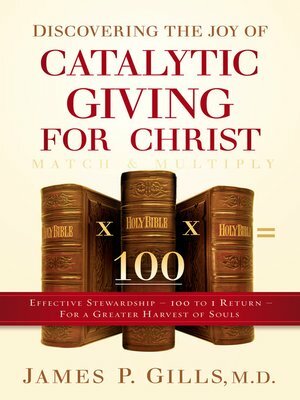 Catalytic Giving will show you through firsthand accounts the power of Jesus's words in Acts 20:35, that: "It is more blessed to give than to receive."